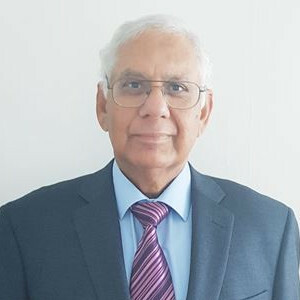 Vinod has 40+ years of practical experience from a mix of Finance management roles across a number of different industries as diverse as Manufacturing (Paper, Sugar, Soft drink bottling, Biomedical products, Tools and products for life science research and manufacturing), Logistics and distribution (Hospital consumables and pharmaceuticals), Services and Public sector in India, Zambia and Asia Pacific region (based in Auckland). Vinod has been in New Zealand since April’ 1987. His last corporate assignment (covering the period 2000 to 2016) was as Senior Director, Accounting covering Asia Pacific region – managing teams in China, Hong Kong, Taiwan, Japan, South Korea, Singapore, India, Australia and New Zealand. During this period, Vinod has been involved in many acquisitions and integration of acquired entities. He has extensive experience in implementing processes to mitigate risks and to improve corporate governance and operational management. In addition, Vinod has been on the board of each of the subsidiary companies in Asia Pacific Region (of Life Technologies Limited). Currently Vinod is working as a Principal (Part time CFO), The CFO Centre, New Zealand and is a Director in his investment company. Vinod is a graduate with B. Sc. ; Chartered Accountant; Cost & Management Accountant and member of Institute of Directors NZ. Vinod is also involved as a Business Mentor (for SME’s) through Business Mentors New Zealand. Vinod is an active Rotarian member (Rotary club of New Market).